LAS VEGAS– Jan. 6, 2014 – Sigma Corporation of America, a leading researcher, developer, manufacturer and service provider of some of the world's most impressive lines of lenses, cameras and flashes, today announced the launch of two new Global Vision lenses from the 2014 Consumer Electronics Show in Las Vegas. 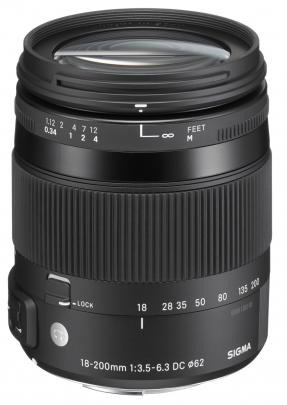 The 18-200mm F3.5-6.3 DC Macro OS HSM Contemporary lens, designed specifically for APS-C DSLRs, is the successor to the18-200mm F3.5-6.3 II DC OS HSM, which was launched in 2011. The smaller and lighter lens (15.2 ounces and 2.8x3.4 inches versus 17.3 ounces and 3x3.5 inches) now macro capabilities with a minimum focusing distance of 15.4 inches and a maximum magnification ratio of 1:3, as opposed to the lens’ earlier minimum focusing distance of 17.7 inches and max magnification ratio of 1:3.8. Its minimum working distance is 14.7 inches, which makes the lens suitable for close-up shooting with natural light, keeping shadows of the camera and lens out of the image. 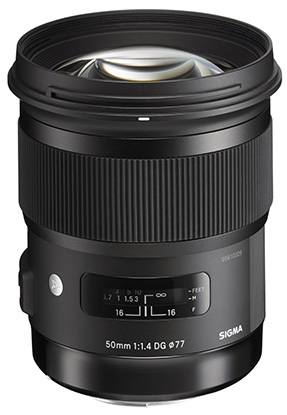 Both lenses incorporate Sigma’s Hyper Sonic Motor (HSM) system to produce quiet, high-speed auto focus. In addition, they include Super Multi-Layer Coating to reduce flare and ghosting, and to ensure high-quality images throughout the entire zoom range. 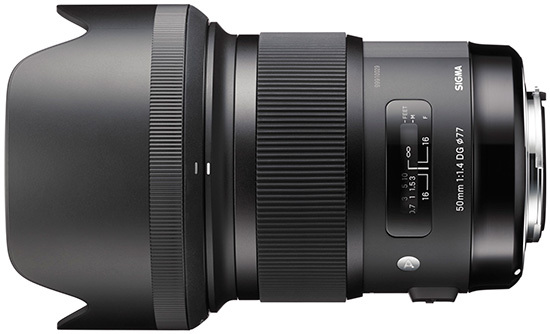 The 18-200mm F3.5-6.3 DC Macro OS HSM and 50mm F1.4 DG HSM lenses are also compatible with Sigma’s USB dockand the company’s Mount Conversion Service. Other recently announced lenses and accessories such as the 24-105mm F4 DG OS HSM, 18-35mm F1.8 DC HSM | ART andUSB Dock will be on display at Sigma’s CES booth. For information about Sigma, go to www.sigmaphoto.com. Visit Sigma at CES 2014 at booth 10431 in Central Hall at the Las Vegas Convention Center from Jan. 7 to 10. This entry was posted in Sigma and tagged CES 2014, Sigma 50mm f/1.4 DG HSM Art lens. Bookmark the permalink. Trackbacks are closed, but you can post a comment.